Times certainly do change and we’ve come a long way from bringing heavy coins of silver and gold to the lightweight convenience of trading using paper money. But now even that is starting to revolutionize. Instead of carrying a bunch of cold cash, many individuals prefer to bring a single card instead. All the more when that piece of plastic allows you to earn money on every single purchase. What credit card is good to use now? You might find the answer in Citizens Bank. 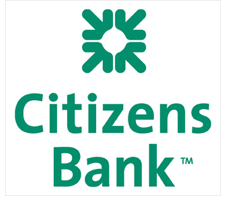 Citizens Bank started as a small bank in 1828 and was first called as High Street Bank located in Providence, Rhode Island. Today, the bank has grown to a total of $132 billion in commercial banking assets and holdings with more than 1,500 branches nationwide. They have almost 21,000 employees working for them and 3,900 ATMs functioning in the whole nation. Citizens Bank is offering their Green$ense Platinum MasterCard and anyone can apply via online, phone, or through their actual branch. With this credit card, people can actually earn as much as $240 in cash backs yearly. For every Green$ense purchase, one can earn 25 cents and as much as $20 in a month when the card holder will be able to make 10 transactions in minimum. For people who use their credit cards often, cash backs are a guaranteed thing. Another means of earning such cash backs is by opening a Citizens checking account. 50 cents will be rewarded to every purchase using the credit card with no monthly caps. Once holders will earn their cash backs, it will instantly be deposited to their own checking accounts. In conclusion, Green$ense credit card holders will not just benefit from the card itself by using it in making purchases but it will also let them earn cash backs they deserve. So what better thing to do than to apply and get a hold of this great service at Citizens Bank.